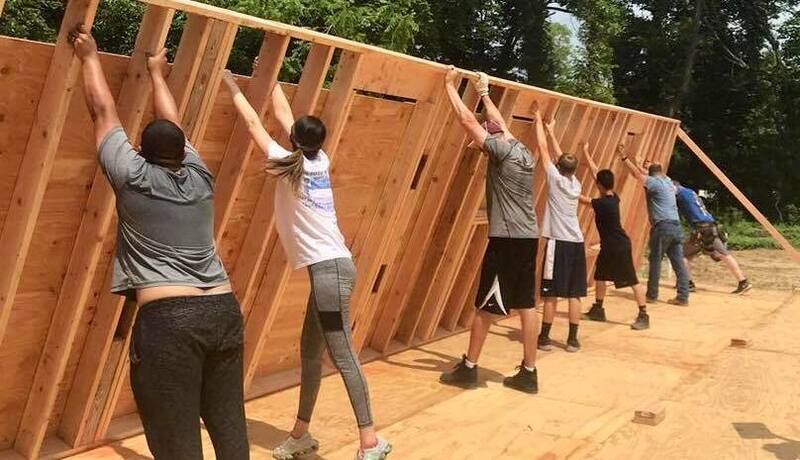 ​Did you know that Cumberland County Habitat for Humanity builds homes almost entirely with volunteer labor? It’s true. We rely on people like you to be the heart, soul, and muscle behind the homes that we build for families who need just a little help to provide their children with a safe place to live. Whether you’re an experienced builder or have never laid eyes on a skill-saw, we look forward to seeing you on the build site! There you and other volunteers will work alongside the family who will live in the home you are helping to build. You’ll learn new skills, meet great people, and take home with you fond memories and a strong sense of satisfaction, knowing that you made a difference in the lives of those who will live there for many years to come. ​Sponsor a project, bring a group, provide lunch, donate in-kind services or come on your own. We can’t do it without you.